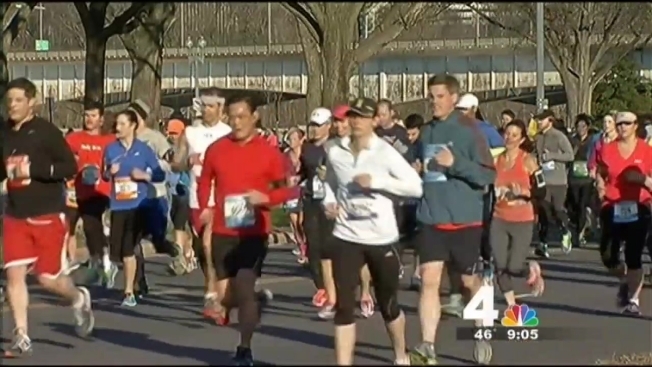 A lack of blooming cherry blossoms did not deter the enthusiasm of the thousands of runners taking part in the 42nd running of the Credit Union Cherry Blossom Ten Mile Run. This year a $487,000 donation was presented at the start line by Credit Union Miracle Day, raising money for Children’s Miracle Network Hospitals (CMNH) nationwide. Of that amount, $111,781 was raised online from 282 credit union runners, their families and friends. Secretary of the Department of the Interior Sally Jewell welcomed 15,000 runners to the National Mall and sounded the horn to start the elite women’s and men’s races. Mamitu Daska of Ethiopia was the fastest female runner at 52:05. The top male runner was Stephen Sambu of Kenya at 45:29.